The majority of Dom Pérignon consumers have no understanding of the Champagne maturation process, according to the prestige cuvée’s winemaker Vincent Chaperon. 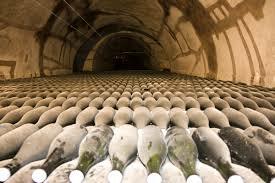 Speaking yesterday at the first UK showing of P2-1998 ­– the new name for Dom Pérignon’s late-release Champagne – Chaperon said that 95% of people who buy the brand don’t have any idea about the way the fizz is made and matured, with, in particular, no appreciation of the benefit of extended contact with the by-products of secondary fermentation in the bottle, otherwise known as the lees. While he stressed that the maturation on lees was “the essence of Champagne”, there has been little communication on this key aspect to the character of traditional method sparkling, and consequently, little awareness of how the product achieves its distinctive bready taste, as well as creamy texture. “We are talking to consumers all over the world and nobody understands about the maturation on the lees for Champagne; they don’t understand that it matures in the bottle – the maturation of Champagne remains a mystery for the consumer,” he said.